The mixed messages are confusing, but not surprising. To survive, Zynga will need to address both. Mobile is obvious. But gambling? For that to work the social game company will have to draw the equivalent of a straight flush. Of course, Zynga hasn’t been shy in the past about its intention to cash in on online gambling. And from a strategic standpoint, it’s easier to sell shareholders the message of “Don’t worry, real money gaming is the future,” than a sobering litany of belt-tightening and tough times and (still) trying to figure out mobile. So what exactly needs to happen for that strategy comes to pass? Well, Zynga has already rolled out online gambling games overseas with its partner Bwin.Party, a Gibraltar-based online gaming company. 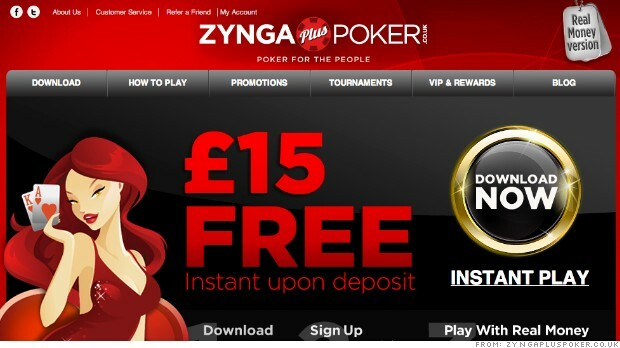 Games like ZyngaPlusPoker and ZyngaPlusCasino launched in the United Kingdom in April. "These offerings are the first step toward realizing Zynga’s long-term vision of bringing players the next generation of real money games on multiple platforms in regulated markets," the company said in a recent SEC filing. But setting up an online gaming operation in the United States is a trickier proposition than in Europe. So far, New Jersey, Delaware and Nevada have passed laws that let residents play in those states. And, because those are state laws, the gaming can only take place between people in those individual states. However, AG Burnett, commissioner of the Nevada State Gaming Control Board, says there are rumors of a federal bill coming. The point is: Zynga has a long way to go if it wants to make good on the promise of real money gaming. For now it can only take baby steps to get there. Six months ago Zynga first announced it had filed an “Application for a Preliminary Finding of Suitability” with the Nevada State Gaming Control Board. Burnett says there is no real timeline for that, but other reports have pegged the process to take about a year to 18 months. So the company would likely be preliminarily licensed in Nevada in early to mid 2014, but that's just the very beginning of the process. To Zynga's credit, that’s in line with what the shareholder at Tuesday's meeting told me, saying the company was taking it "nice and slow." Burnett says there are a number of ways a company can get licensed with the board. Zynga picked the preliminary application route, he says, because the company likely wanted to keep its options open. The interactive gaming statute, which makes online gaming legal in the state, is “in flux,” with different amendments being added every so often. (Burnett says there were some recent amendments to the statue, but that shouldn't affect an in-progress applicant.) He thinks Zynga probably wanted to get the process going without having to commit to a particular type of license, in case the company wanted to make strategic changes later. “It’s a little more fluid process,” he says. Zynga launched real money games in the UK in April. Even so, the preliminary vetting process is a long and fine-toothed investigation. The board scours the company, meeting with accounting and legal teams to look through books and litigation, and speaking with the SEC. Principles at the company, like Pincus, have to submit individual applications for background checks. Once the company is deemed suitable, Burnett says obtaining any particular license, like, say, an interactive gaming license, would only take a matter of days. As for next steps, to operate a gaming website in the state, Zynga would also need some sort of presence in Nevada, so one option would be partnering with a resort in the state. Given the hole Zynga is in, it might behoove the company to have a speedy investigation; the quicker the company is licensed, the quicker it can plant the seeds for real money gaming. Burnett says there is no way to expedite the process, but Zynga has the fortune of good timing. The board just finished up a few large investigations, so it has some agents dedicated solely to Zynga’s application. “The agents will put their focus on this. That’s not always the case,” Burnett says. “They might be in luck.” And someone from the Nevada Gaming Commission should know luck. But what happens if Zynga is licensed in Nevada? That's good for Nevada-ites, but online gambling in only one state does not a company save. As the Department of Justice has it set up, each state has the discretion to allow online gambling within its borders, and it would not be surprising for more states to follow suit with Nevada, New Jersey, and Delaware. Right now, though, only players in Nevada can play within Nevada. But Burnett says there has been some recent enabling language that may allow states to form "compacts" -- a set of states or jurisdictions (like Native American tribes or foreign governments) were it's legal to gamble online in other states. The perceived silver bullet would be a federal bill that makes the practice more widespread, but talk of such legislation gaining traction is speculative for now. One big hurdle that has been removed for Zynga is the fact that Jon Kyl, a former Republican senator from Arizona and senate minority whip, is no longer in office. Kyl was a staunch opponent of online gambling and a major supporter of the Unlawful Internet Gambling Enforcement Act of 2006, which prohibits businesses from accepting payments from illegal Internet gambling. For its part, Zynga last year disclosed employing lobbying firms in both Washington DC and California, partly to address the issue of online gambling. Still, there are some who are not so bullish on Zynga's chances with online gambling. "The future for that is nebulous," says Lewis Ward, an analyst with research firm IDC. He suggests another way of pursuing real money gaming for the company would be to emphasize games of skill, creating tournament games around them, similar to what Skillz.com does. Skillz CEO Andrew Paradise says there's a legal distinction between games of skill versus games of chance, predicated on two tests: a) If a skilled subset of players beats non-skilled players 3/4th of the time, a game is considered a game of skill. b) If there is any forced guessing built into the game, it is not a game of skill. Paradise says real money online tournaments for those games are legal in 37 states. "That makes much more near-term sense to me than to overturn the [online gambling] precedent," says Ward. In the end, though, the question for Zynga is can it hold on long enough for any of these revenue streams to materialize in a meaningful way? No one knows the odds on that.